For many budding home cooks, gnocchi is a bit mysterious. Unless you had an Italian grandmother to shadow in the kitchen, or watched that creepy scene from The Godfather too many times, these little potato dumplings can seem complicated. But hold on a second… really, they’re just dumplings, right? Right. In this recipe, we’re switching things up a bit by baking the gnocchi instead of boiling. Baking is a foolproof way of assuring a hearty, satisfying texture. 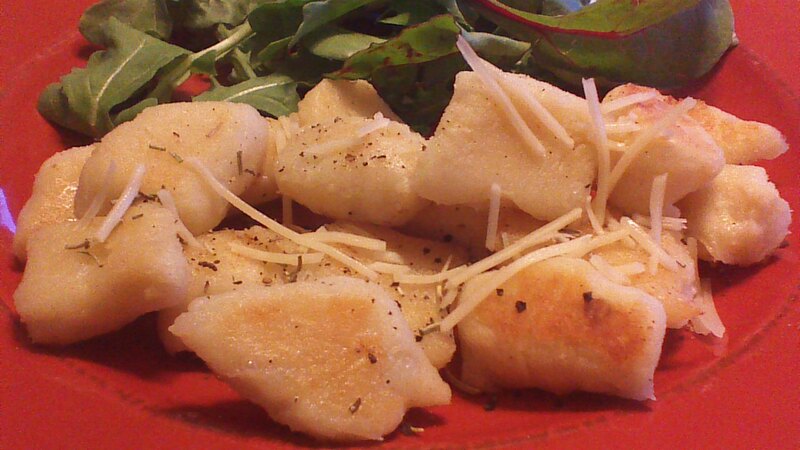 Also, the flavor achieved by baking gnocchi on a pan lined with butter and herbs is, well, amazing. Let’s get started! Step 1) Peel potatoes and cut into quarters. Add to a pot of boiling (not salted!) water, and boil until potatoes are soft (check after 10 minutes). Drain and mash the potatoes. Allow to cool, uncovered. 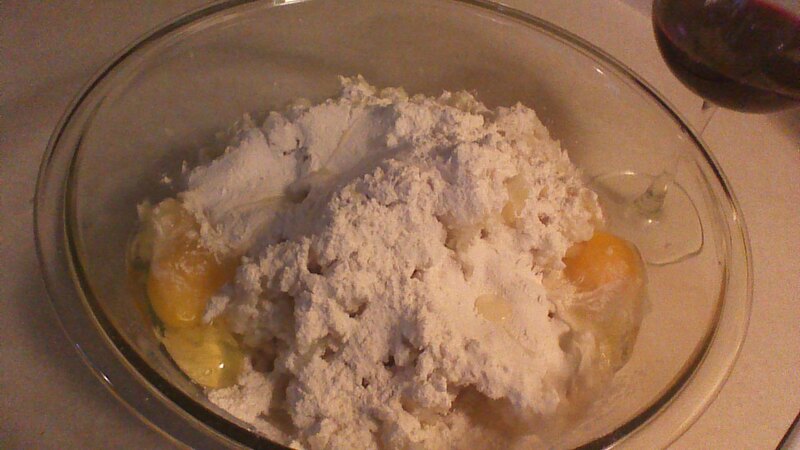 Step 2) After mashed potatoes are cool, add flour, salt, pepper, and eggs. Using your hands, mix until all ingredients are well blended and a soft dough forms. 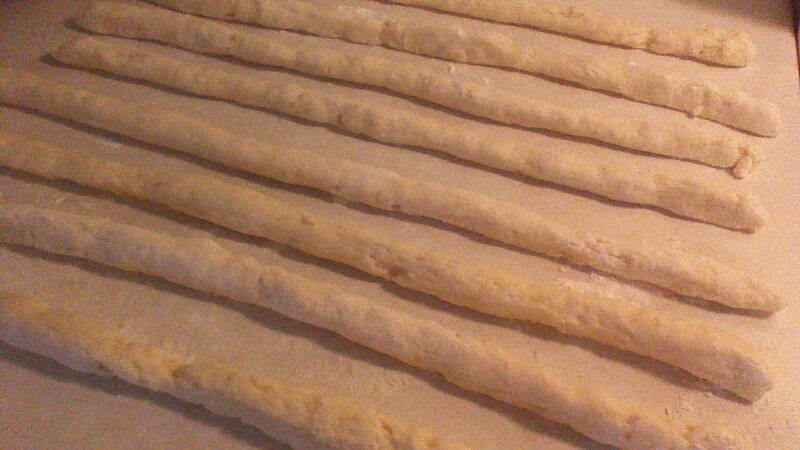 The dough will be a little bit sticky, but if it is really impossibly sticky, add another few tablespoons of flour. If the dough is dry and crumbly, add milk (only one tablespoon at a time!) and mix until dough holds together. Step 3) Place a clean towel over the dough and allow it to rest for about 15 minutes. Step 4) Break off pieces of dough (about the size of a tennis ball) and roll by hand on a lightly floured countertop to form “snakes” of dough approximately 1 inch thick. Step 5) Use the edge of a fork (you really don’t need anything sharp) to cut pieces about 1 inch long. 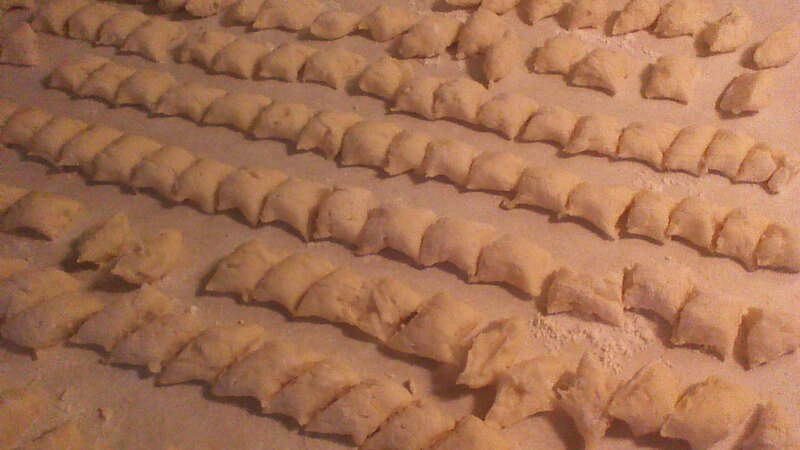 Your individual gnocchi will look like little pillows. Step 6) Preheat oven to 350 degrees. While gnocchi rests on the countertop, place 1/4 cup of butter on a large baking sheet with shallow sides. Melt butter on baking sheet by placing it in the oven for a minute or two as it preheats. Step 7) After butter has melted, tilt the baking sheet back and forth to make sure that the entire surface is coated with butter. 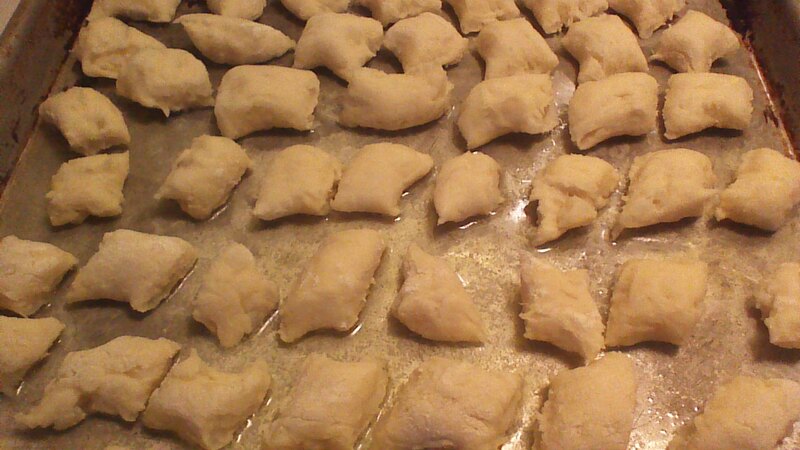 Sprinkle herbs evenly over the baking sheet, and place your gnocchi on the baking sheet. 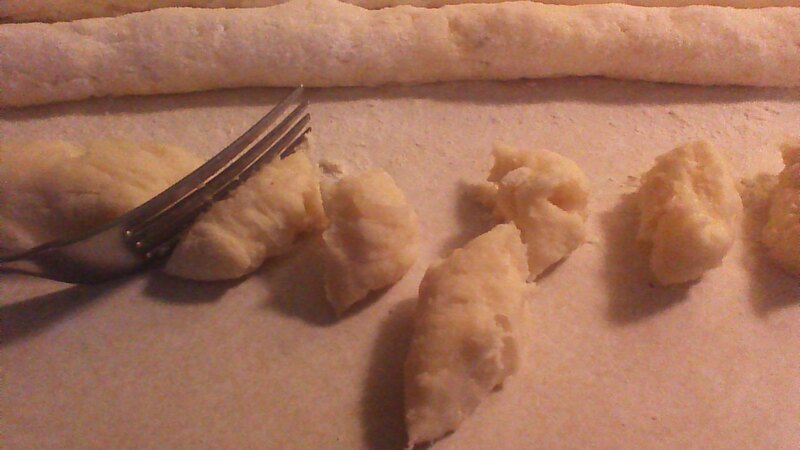 Bake for 20 minutes, flipping gnocchi over once after 10 minutes. Step 8) Transfer gnocchi to serving plates and sprinkle with cheese. Enjoy!